noted: Not so Happy Eggs. When a company bases all their advertising and marketing around a moral principle, it’s all the more sickening when it’s revealed that they are guilty of abusing this principle. That’s the feeling I have today after viewing the Sky News story about the conditions that the laying hens from the Happy Egg company are kept in. The picture of hens happily grazing green field and riding an a quad bike (which I’m sure my chickens would love!) couldn’t be further from the truth. From the footage it’s appears little better than the battery cages that are so well publicized as being cruel. I’m so glad I can be totally sure where the eggs I eat come from. 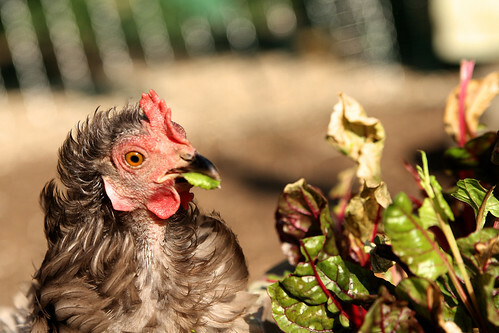 Please support your local garden hen keeper… it’s the only way you can know the truth. I quite agree! This type of misleading advertising shouldn't be allowed!My MIL keeps chickens in her garden & the eggs taste amazing!